Upstate New York was made for driving, offering some of the country's most beautiful winding roads and roadside attractions. This summer, when you're vacationing in beautiful Upstate, take a day trip to explore the area on one of these drives. From “New York's Adventure Route” in the Catskills, to a backcountry adventure in Cooperstown, to a three-hour backroads quest for some of the best BBQ in the country, they're all worth finally getting your driver's license for. This 9.6-mile out-and-back road is by far the prettiest of all the scenic byways in the Adirondack Park. You’ll consider getting out and walking the Adirondack Loj Rd, just to slow down the spectacular passing views of the High Peaks, lakes, and flowering fields. 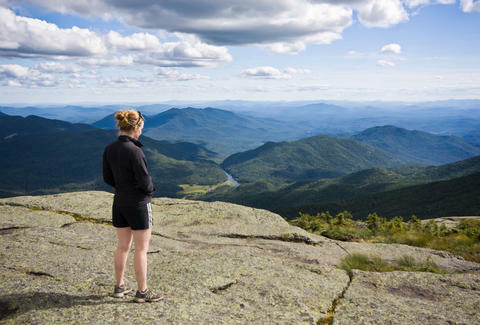 Pro tip: Though many hikers take the Adirondack Loj Rd en route to climbing Mount Marcy, the tallest mountain in the state, skip the overnight hike and instead summit Algonquin Peak, the second highest mountain in New York. And be sure to grab a sandwich at Big Mountain Deli before you go. Upstate lake drives don't get better than this. 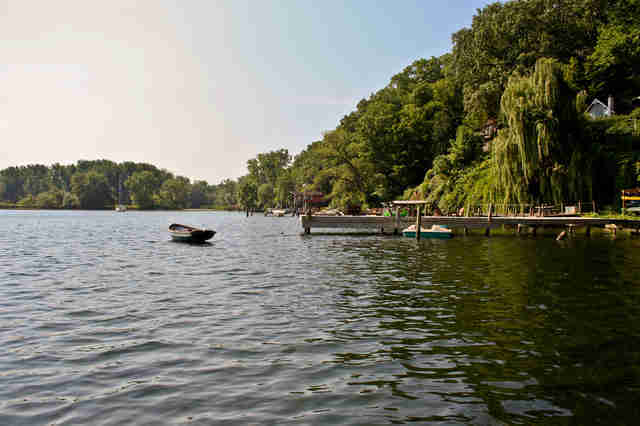 Cruise the 41-mile designated scenic byway along the shores of the longest glacial finger lake, keeping an eye out for historical Civil War markers, the Montezuma National Wildlife Refuge, and under-the-radar watering holes like Myer Farm Distillers. Pro tip: Head to nearby Robert H. Treman State Park to work up a sweat along the nine miles of hiking trails before making a splash next to the cascading 70ft Lower Falls. Post-swim, drive 10 minutes to Ithaca Beer Company for a flight of beer and a smokehouse burger with fries. Dubbed “New York’s Adventure Route,” this long-winding road runs from the Catskills up to the Adirondacks, passing the Ashokan Reservoir and idyllic towns like Woodstock, Phoenicia, Cooperstown, and Andes that are brimming with Instagram-worthy diversions. Pro tip: Before you buckle up, check out the book and audio guide made for Route 28. However you choose to fill the day or weekend, make sure to hike the newly opened Shavertown Trail in Andes and dine at Brushland Eating House. New England’s version of Vietnam's Hạ Long Bay, this archipelago is made up of over 1,800 islands in the St. Lawrence River, which is shared by the US and Canada. 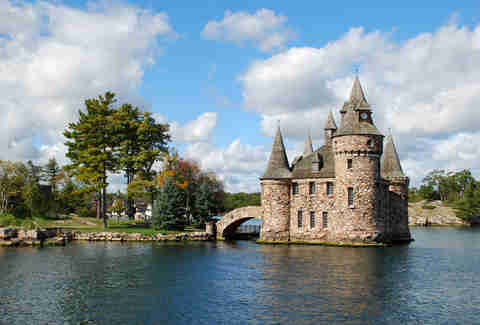 While the Seaway Trail along Route 12 is one way to take in the views, the best way to explore the destination and its out-of-nowhere Gilded Age attractions -- such as Boldt Castle and Singer Castle -- is on the water. Book a tour with Uncle Sam Boat Tours to navigate the national and international hot spots; no passport required. Pro tip: Camp at Kring Point State Park; it's less popular but equally as beautiful as Wellesley Island. Where to stay: For the tent-averse, shack up at 1000 Islands Harbor Hotel. 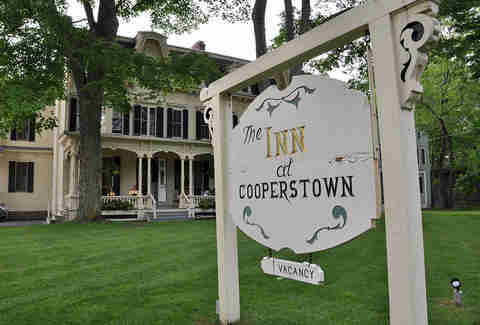 This under-the-radar boozy backcountry adventure will take you through eight featured stops throughout the 37-mile beverage trail in Otsego County, including Cooperstown Brewing Company, Cooperstown Distillery, and Fly Creek Cider Mill & Orchard. Don't be an amateur; hire a local designated driver so you can get the most bang for your buzz. Pro tip: Save a stop at Brewery Ommegang for the Bed and Brew package at the Inn at Cooperstown, which offers a two-night weekend stay, transportation to/from the 135-acre former hop farm, a VIP guided tour and tasting with a brewer, a gourmet feast paired with beer, a rare bottle from Ommegang, pint glasses, and more. And if beer and the Baseball Hall of Fame weren't enough to get you up here, the Fenimore Art Museum is now reopen with a new exhibition entitled “Ansel Adams: Early Works,” featuring many of the photographer's lesser known prints. 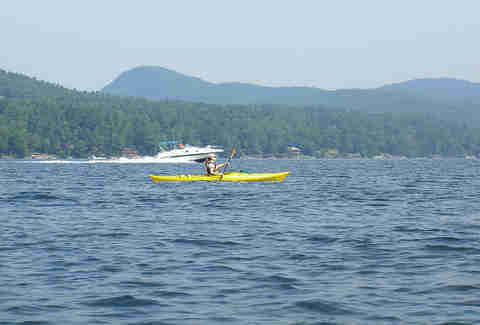 Located 25 miles north of Saratoga Springs, this tree-lined road skirts the banks of the "Queen of American Lakes.” After driving around the 32-mile-long Lake George, stopping to hike the 2.7-mile out-and-back Prospect Mountain trail and picnic at Hearthstone Point Campground, enjoy one of the most picturesque paddles from your kayak or SUP board, best rented at Bolton Landing. Pro tip: Go cliff jumping -- or just watch other crazy people do it -- at Calves Pen. 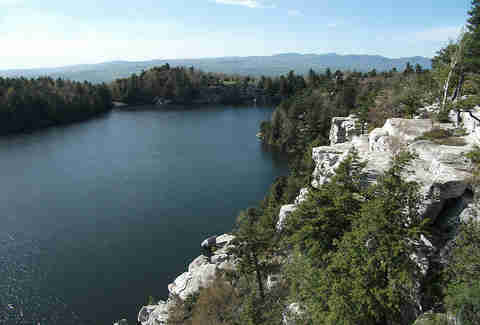 You don't have to be a gung-ho Gunks climber to appreciate the striking landscapes on full display along the Northern Loop section of this 88-mile Shawangunk Scenic Byway. Take in classic mountain roads, wild hairpin turns, farmers markets, open fields, and endless breathtaking overlooks of the Catskills and Gunks. Pro tip: In New Paltz, where the byway drive starts, knock back a cold one in the beer garden at newly opened Garvan's. If all those dramatic cliffs are calling to you, book a guided rock climbing excursion with local outfitter Alpine Endeavors. In which case, belay then beer. 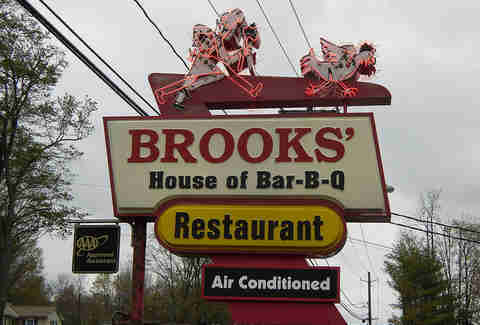 Brooks’ House of Bar-B-Q just won the 2016 James Beard award for America's Classics. 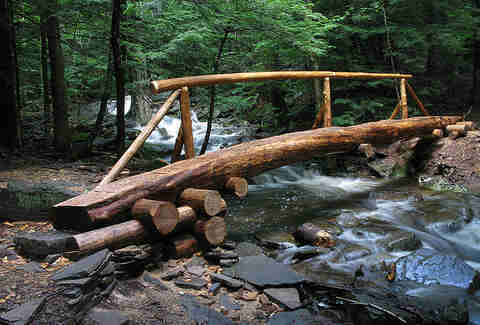 If that's not reason enough to skip town, the scenic road to BBQ heaven is lined with hidden gems you'd never visit otherwise, like Livingston Manor (hike in Balsam Lake Mountain Wild Forest), Goshen (drink at Craft 47) and Delhi (shop at The Stonehouse). Pro tip: Order the BBQ chicken. When locals from the Buff want to get out of town, this is the course they chart. 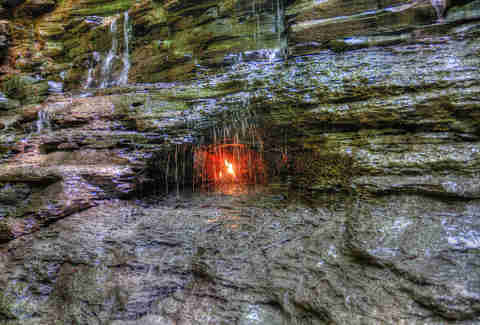 Along the way, stop at places like the Eternal Flame Trail, a ravine trek that leads to a natural gas flame behind a waterfall, then refuel at George's for hot dogs, Hamburg Brewing Co., and Nick Charlap's Ice Cream Stand. Pro tip: After getting a tried-and-true taste of Americana, head north to experience Buffalo’s hotel and restaurant boom -- not to mention its revived waterfront. Sample some of the dozen new breweries and distilleries like Big Ditch and Lockhouse, and save room for revelatory dishes at newcomers Allen Burger Venture, Toutant, and Allen Street Poutine Company. If you feel like New York City's been bringing you down lately, the Blue Ridge Rd will bring you back to life. 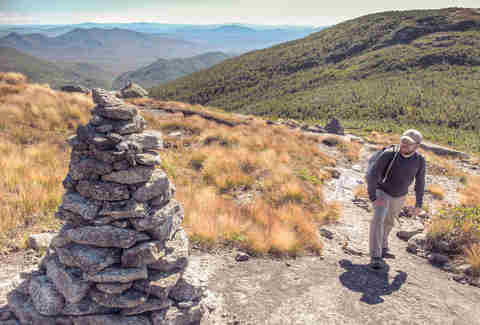 There’s nothing but 17 miles of sugar maple, Quaking Aspen, and yellow birch trees as you follow this narrow route along the southern edge of the Adirondack High Peaks from North Hudson to Newcomb. 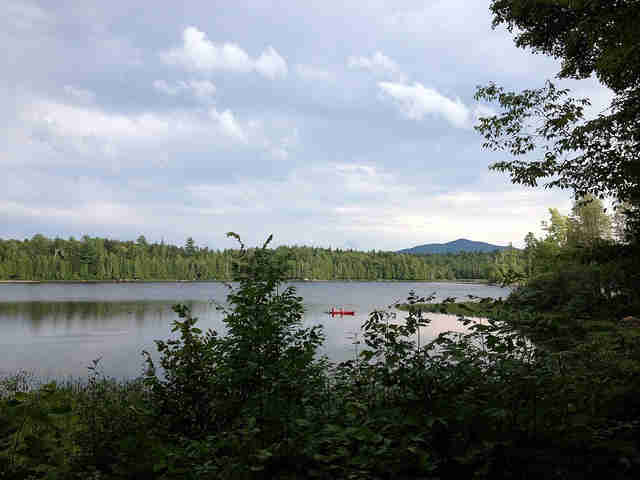 Pro tip: Pitch a tent on the beach at Lake Harris in Newcomb, where you can rent a canoe and pretend you’re floating through the Pacific Northwest. Where to stay: If you're not into the whole camping thing, well, get into it. Lauren Matison is Travel + Leisure’s Green Getaways correspondent and the co-founder of offMetro.com. She bought a lot of carbon offsets researching this story, but it was so worth it. Follow Lauren on Twitter and Instagram.